Barsebäck Golf Club is a 36-hole golf resort. 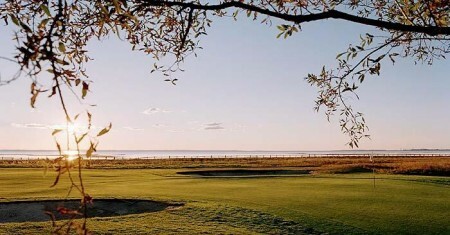 Barsebäck has hosted the Solheim Cup, the Scandinavian Masters and Annika Sörenstam’s Scandinavian TPC. It has two championship golf courses, the Masters and the Donald Steel, each with a different disposition. The Donald Steel Course emphasizes Steel’s philosophy of minimal earth movement. He allows the golfer to wind through the natural surroundings. This course is not just pleasant to play, though. Steel compliments his designs with the shape of his greens. It is the subtle undulation that makes the Donald Ross greens so interesting. And frustrating. The Masters Course is the course that has hosted all the competitions written of earlier. This unusual layout starts in the forest turns and drops to four holes of seaside golf with all the attributes of links play. After the beach holes, you then climb back up to the forest. The back nine offers you the par four number 17, with its wind swept trees behind the green framing the view of the sea. You might want to have your camera ready to capture the Master Course’s signature hole. The final hole makes for an exciting finish with its enticing risk versus reward decision. Can you carry the trees on the right to cut the dogleg? Only you will be able to decide. 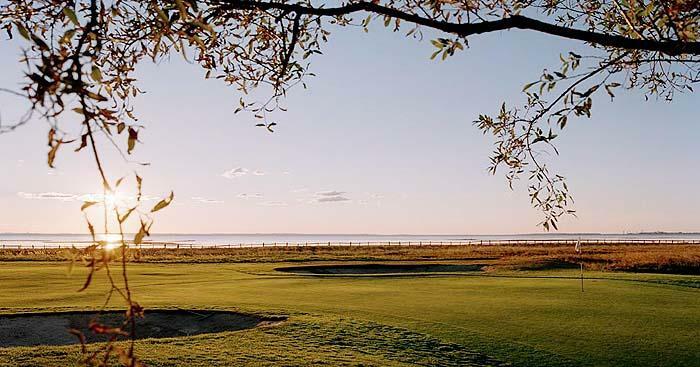 Back in his day, Jack Nicklaus called Barsebäck one of his favorite places to play.